Create your presentation in Google Slides, then add engaging interactive questions to it with the Pear Deck Add-On. Combine the editing power of Slides with the engagement power of Pear Deck! Log in. Go to peardeck.com and click For Teachers to log in. If this is your first time using the Pear Deck for Google Slides Add-on, click Get Add-On. You will be prompted to create your Pear Deck account. It only takes a few minutes. 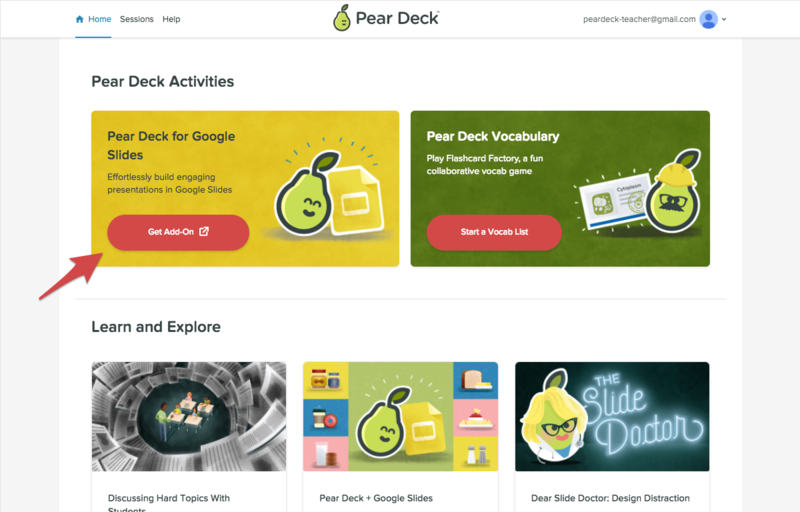 You will be asked for permission to install the Pear Deck Add-on in Google Slides. After installing the Add-On, go back to your Pear Deck Home screen at any time and click Create a Presentation. By clicking on Create a Presentation, you'll land in the Google Slides Editor. Now you can start building slides! 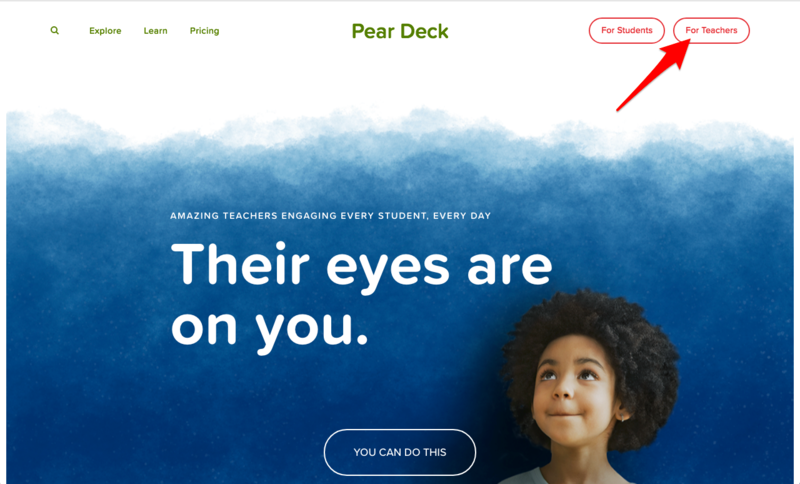 The landing page shows you exactly how to open the Pear Deck Sidebar, which is what you'll use to add interactive questions and formative assessment templates to your presentation. Go to Add-ons > Pear Deck > Open Pear Deck Add-on. 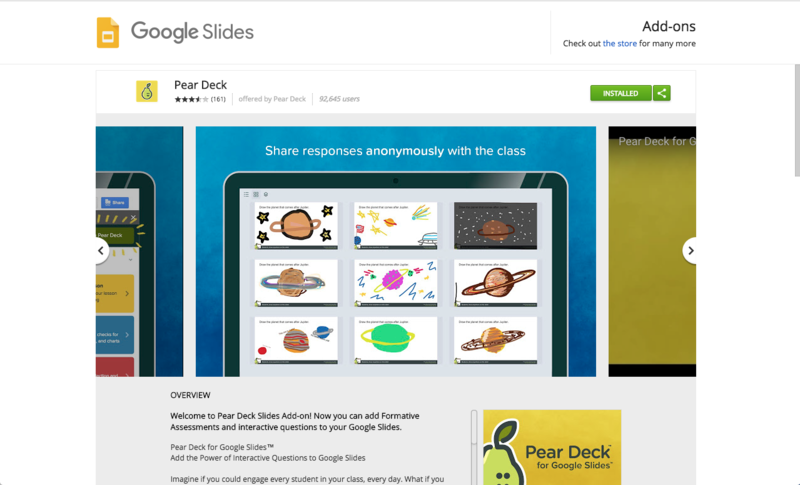 You can also go directly to Google Slides and open Pear Deck from the Add-ons menu at any time. Actually, we've got you covered! All presentations are automatically saved as soon as you begin creating them. Go to Google Drive and open the Pear Deck folder (we created that for you too) to find them. You'll also start seeing your recent files on your Pear Deck Home for quick access.